BaronessX Bodhi Tree is a beautiful medium lavender shimmer with flecks of blue in it. 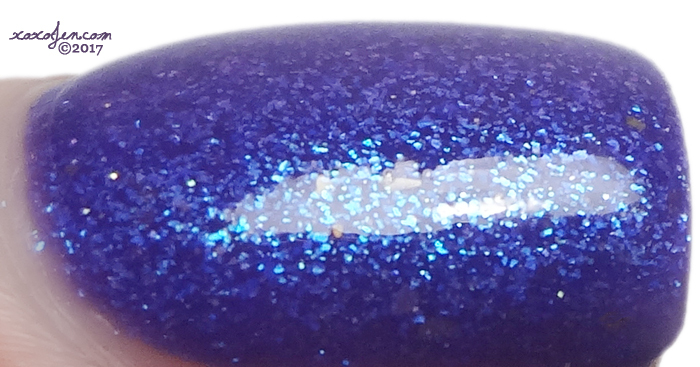 I wore two coats with kbshimmer Clearly On Top topcoat, for a glossy finish and wear like iron. The polish is no longer available, but give her site a visit to find many more beautiful polishes! I hope you've enjoyed the review and photos. Tell me what your favorite BX polish is in the comments!